Republic Services is the Village’s provider of solid waste services, which includes the collection of refuse, yard waste and recycling. The guidelines discussed on the related pages apply to single-family residences of incorporated Downers Grove. The Village uses a pay-per-bag system for both refuse and yard waste. Stickers are purchased and placed on each item. This program applies only to households that rent a yard-waste cart from Republic Services. 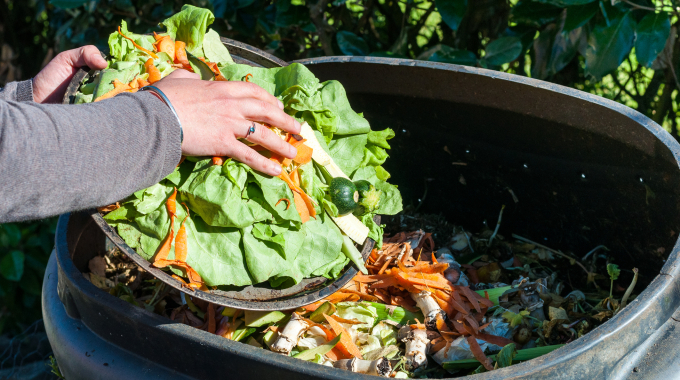 The Village's new five-year contract with Republic Services for refuse and recycling services now includes an option for residents to separate out useable items for compost. This seasonal service will begin on April 1, 2018. Customers that rent a yard waste cart from Republic may put their compost items in their yard waste cart, along with any yard waste. If you do not rent a yard waste cart and wish to participate in the compost program, contact Republic Services at 630.964.3232 for cart sizes and pricing. Compost/yard waste carts will be collected weekly on your regular pick up day from April 1 through the second full week of December. NOTE: DECEMBER 9, 2018, WILL BE THE FINAL WEEK OF COMPOST/YARD WASTE PICK UP. There is no other option offered for compost collection during this time. The compost/yard waste program will begin again on April 1, 2019. As of January 1, 2012: TVs, computers (and laptops), monitors, printers, computer peripherals, VCRs/DVD players, gaming systems, MP3 players and other electronic items will be banned from Illinois landfills. Please take advantage of one of the Electronics Recycling events to dispose of this waste. Please note that alkaline batteries (common household batteries) are not accepted at the monthly recycling events.